Skyhooks: How to Tarp Your Site to Save Valuable Time. I finally had a chance to use the set of Skyhooks that were sent to me in early August. I first introduced this product back in January when I found it online while doing research for my blog. It has since been my most searched post reaching over 7,000 viewers to date. With those kind of number I knew I really needed to try this product out and write a follow up review. 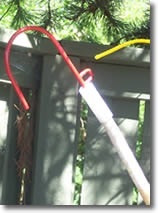 The Product: A set of Skyhooks come with 4 hooks and 1 easy to follow set of instructions for those who wish. 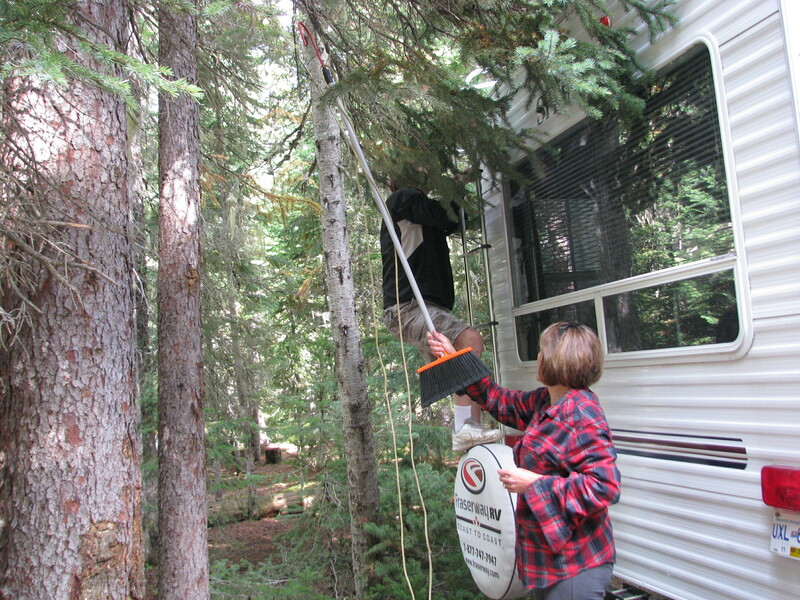 If you read my recent “Male Camping Ritual” post then you will not be surprised that the instructions never made it into either my husband’s nor brother-in-law’s hands. 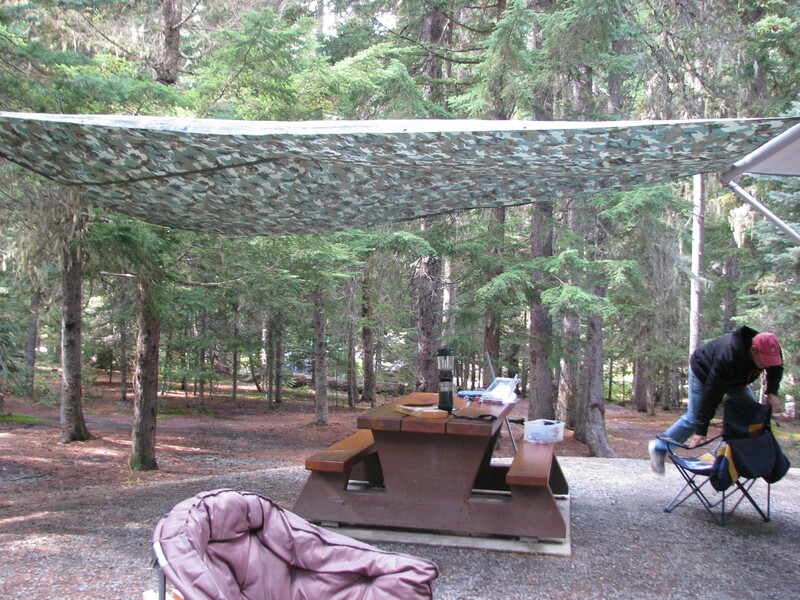 Because I was writing this review, I decided I would help tarp so quickly reviewed the instructions. 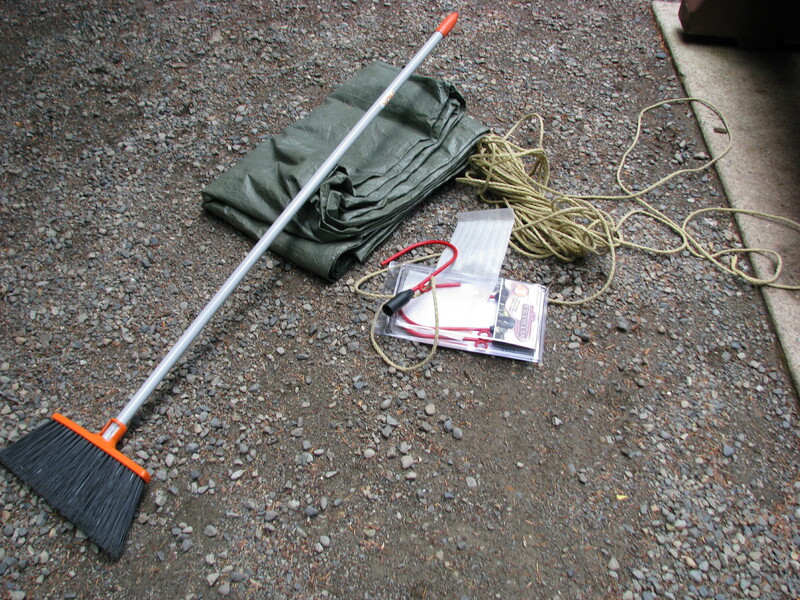 The Equipment: 1 set of Skyhooks, 1 rectangular 8 X 12 tarp, several ropes and bungees of varying length and one broom stick. 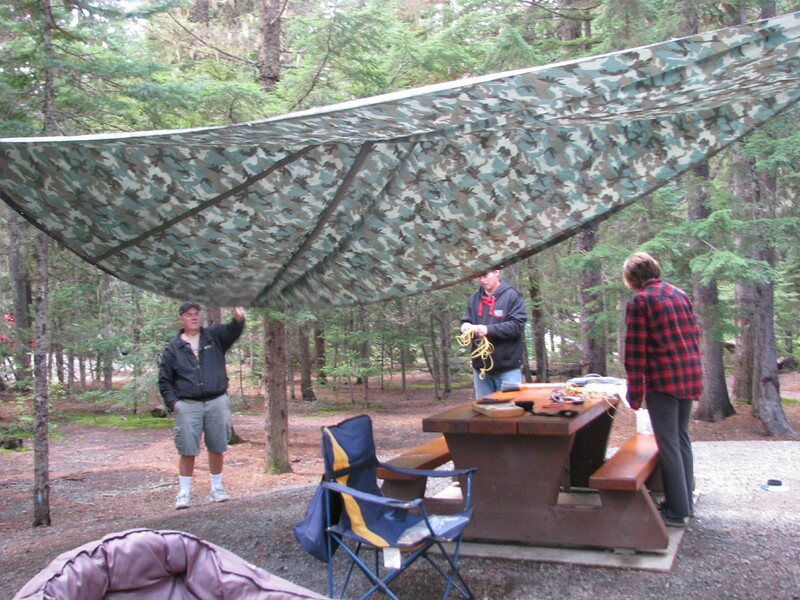 The Plan: After great debate, we decided where to place the tarp so it was time to begin. 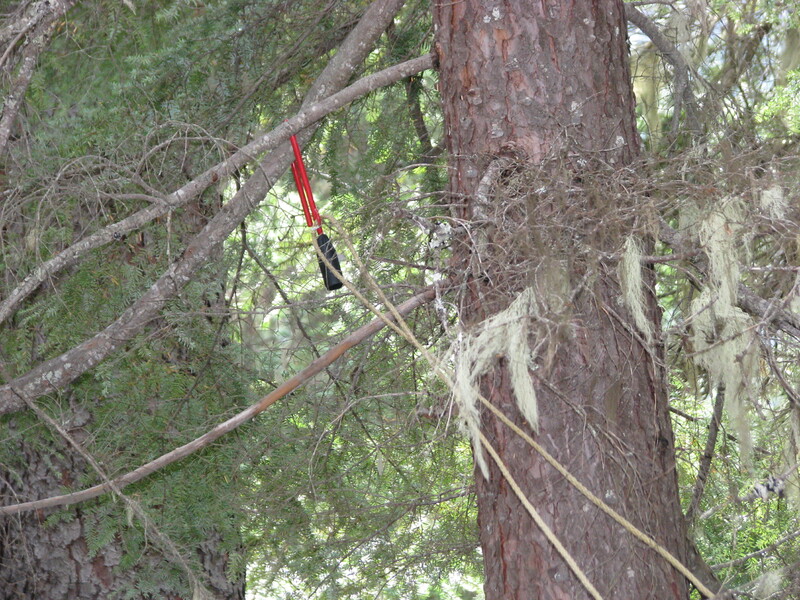 There were lots of trees on our site so it was easy to find somewhere to place our Skyhook. Their web site says we could tarp in 5 minutes so I started my watch. I guess that 5 minutes is for placing the hooks and does not accommodate for the discussion or debate time that ensue as the tarping ritual begins. 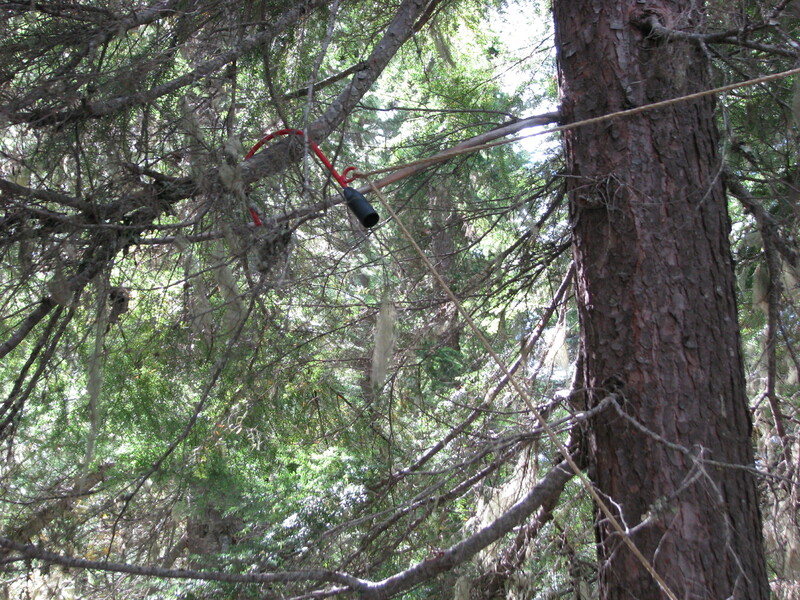 The Review: We found it was extremely easy to place the hooks and to get them in high locations. We only had a household broom stick so we were limited in the height but we were still able to place them 10 to 12 feet up. 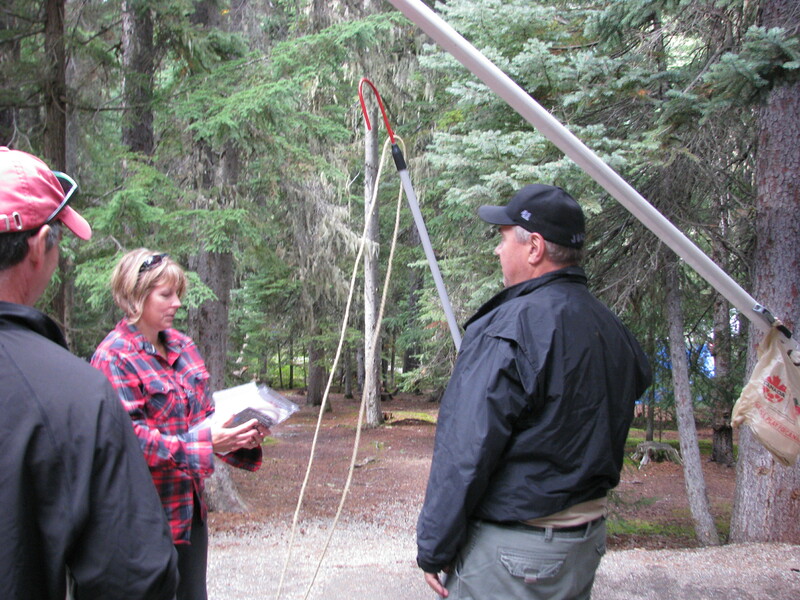 They are very sturdy so when we pulled in the rope to raise the tarp, they accommodated the pressure and weight without issue. 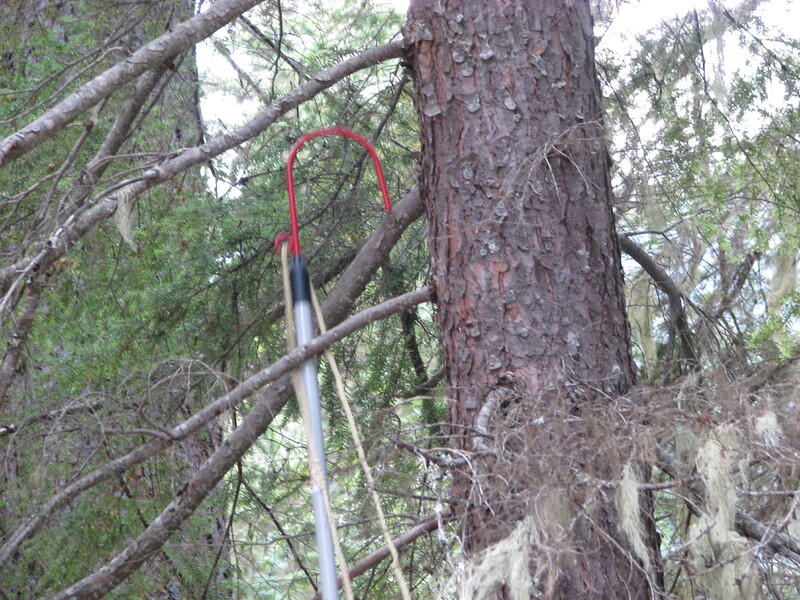 One of the added features we did not account for is that these hooks do not seem to harm the trees bark or branches. Living in such an environmentally conscious area this might be one of the top features. The take down: We wondered how they would be to take down and, true to their claim, it was easy. 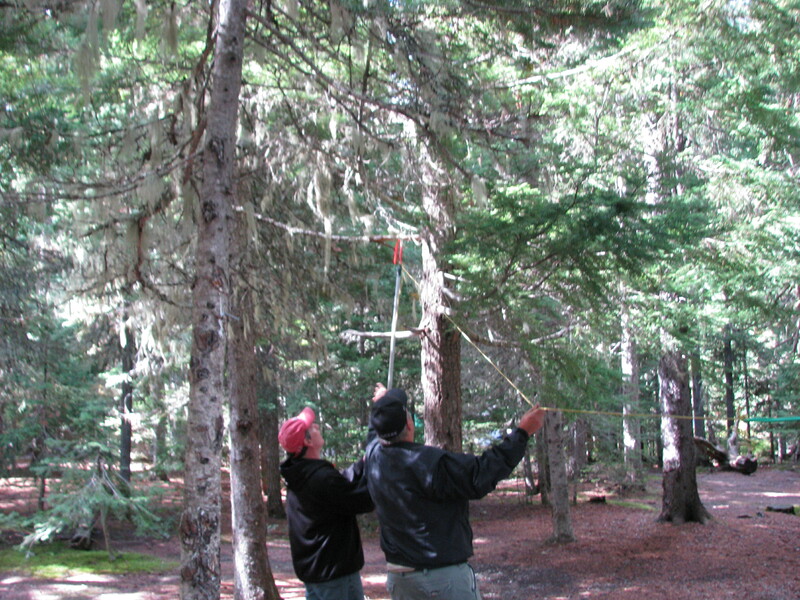 Pop the broom stick back in while applying some gentle counter-pressure on the rope, and down they came. It really was just that easy to put up and down. 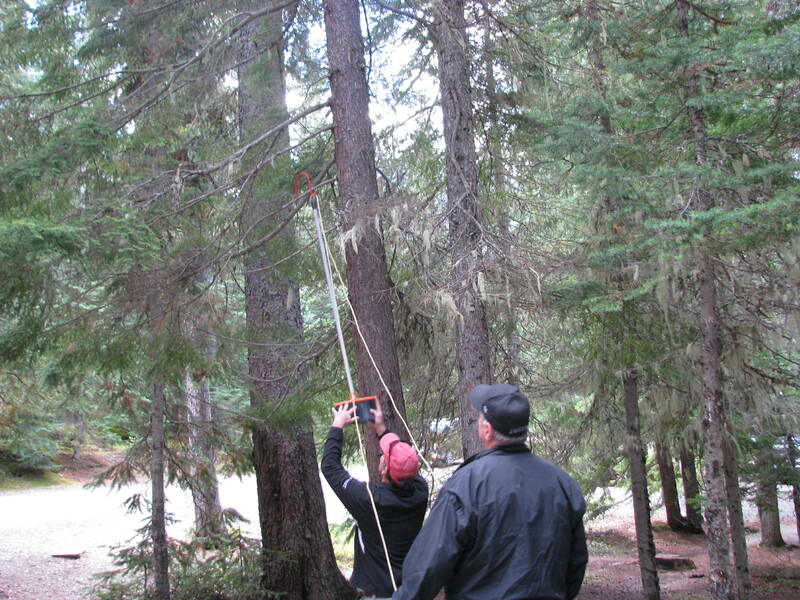 The Advice: one thing we will do next time is pack a telescopic pole in order to reach higher branches. The Thank you: Although these Skyhooks were provided to me for the purpose of this review all opinions are my own. I can say with sincerity that I would highly recommend them. 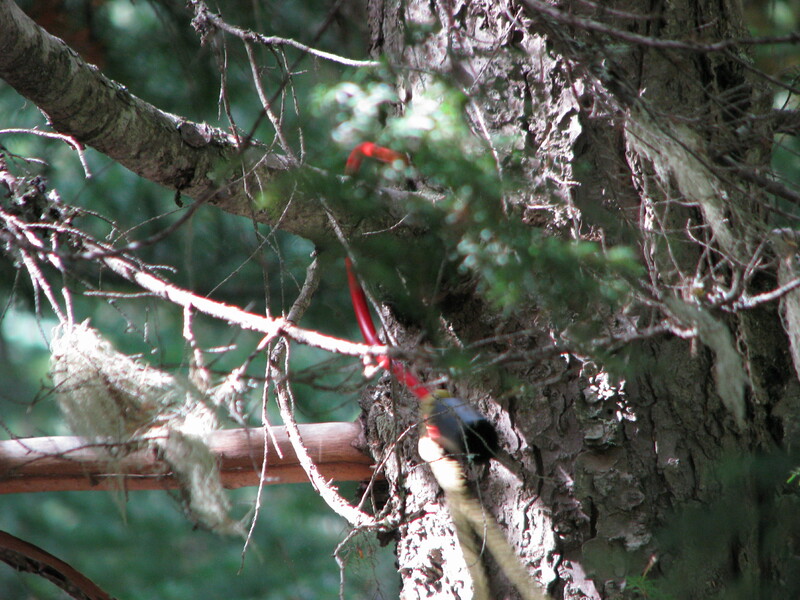 Yes you can tie a rock to a rope and get the same results but it is not as easy and the ropes can be very hard on the trees. For $22 + tax you get a pack of 4 and you are tarped very quickly. Thanks Skyhooks, your product does live up to your claims. Nice job ! When does the video come out ? Nice! I am going to have to get some of those! Then rest thing they are made and sold by a couple in Vernon. Nice when you can find local product that really works.